There has been a lot of noise about Local 127 recently, including one of the craziest comment streams I have ever seen on Julie’s blog, Winemedineme. After the 5chw4r7z’s and I stopped in for a few minutes (and a few drinks) after Oktoberfest, and both of their positive experiences with the place earlier, and Kate's good time at the place, David and I were eager to try it out. Talking to Steven the night of Oktoberfest, he mentioned the Chef’s table. Now, I have a vague idea of what a Chef’s table is. And by vague, I knew that it was in the kitchen. That alone was enough to make me jump on Steven’s offer that night. 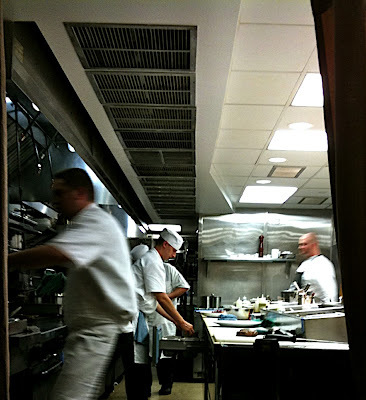 A peek inside a working kitchen? Yes please! David and I were downtown on Saturday viewing apartments, when 5 o' clock rolled around and David’s stomach started growling. Intrigued by my description of the place and having met both Kyle and Steven at the Oktoberfest that previous Sunday, he wanted to stop by and check it out while we were downtown. I feel that I should post a note about the pictures here—because we were not planning on stopping into Local 127 that morning, I had failed to lug the S3 IS. However, the iPhone 3GS did a pretty good job of capturing all the courses. 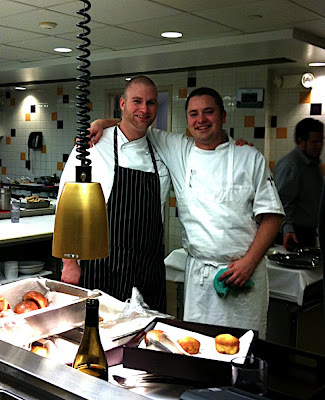 This is what is to the left and right of the Chef's table. 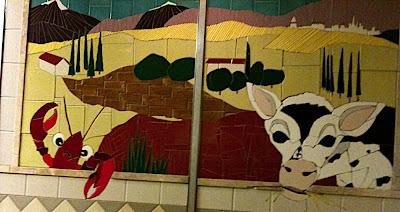 I like the cow a lot. 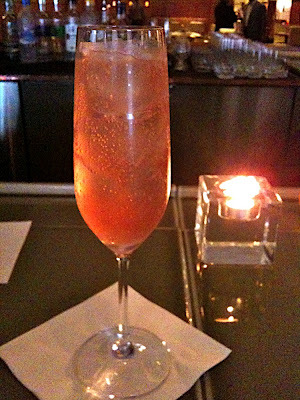 Local 127 opens for dinner service at 5:30 on Saturday, so at 5:35, David and I strolled in to the bar. 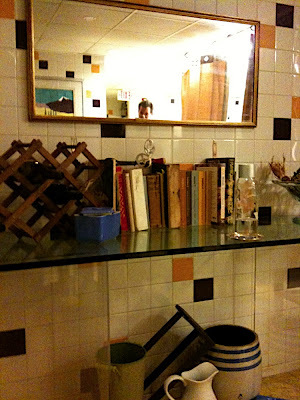 I inquired about the availability of the Chef’s table, of course. Steven said that would be no problem, and we tried some fizzy lemonade cocktails while we waited. I don’t know what was in them, but they were delicious. I know people may not know what to expect about Local 127. I know from some accounts, that there apparently was a grouchypants sommelier that made some people feel unwelcome at some point. 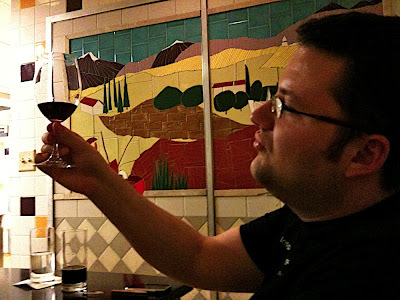 My assessment of our evening—I felt comfortable the entire time. David and I were both in casual attire—my jeans even had a hole in the knee—but at no point did we feel like we were out of place or unwelcome. We saw people dressed up, and a few dressed more casually, but we were definitely at the lower end. 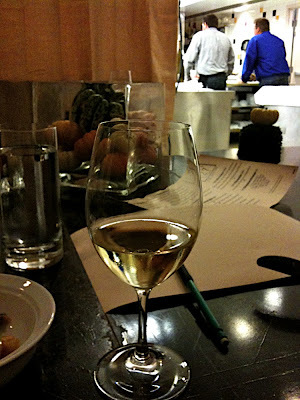 So here’s the deal with the Chef’s table at Local 127. Reservations are recommended, and the price tag per person is $95.00. That may seem high, but you’re getting the table for the whole night of dinner service—or at least until you founder yourself and call it quits, like we did. Typically, you can expect 10-15 courses both on the menu and off of it, with little treats from the kitchen in between, as well as corresponding beverages with the food. And let me tell you, Steven can pick his wines. And of course, you get to view the kitchen, watch it prepare all the meals sent out, and hear about them in more detail. 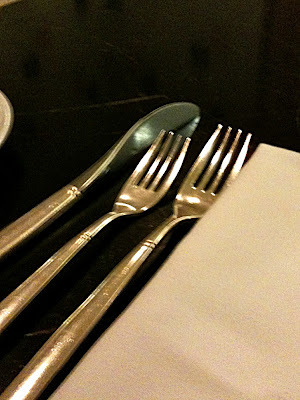 At no point did we feel rushed or hurried—the staff managed to keep an eye on how well we were doing with our plates without hovering at all. We had many of the small plates, and some small portions of the large plates, as well as some specialties from the kitchen that night. We also met some people that Local 127 is working with closely, such as Bob Perry. Bob is the Project Manager for Sustainable Agriculture at the University of Kentucky, and had brought with him some truly remarkable ham. It was rich and flavorful and I want some more of it right now. 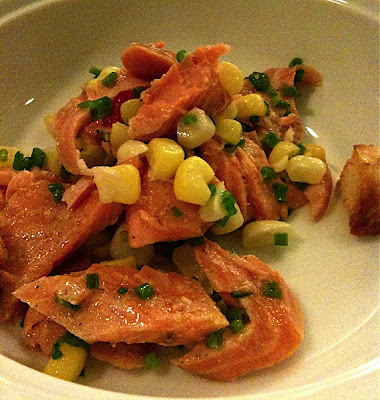 The first thing put before us came from the cured and pickled menu, the smoked trout, corn and chives. Local 127 pickles their corn in house. When it was set before me, I sighed. David is the smoked fish person, not me. But I looked at it and decided to try it anyway. It was a very good decision. This was actually one of my favorite dishes of the night. Steven picked a smooth, sweet Riesling, which complemented the tartness of the picked corn and smokiness of the fish in a way I had not expected. 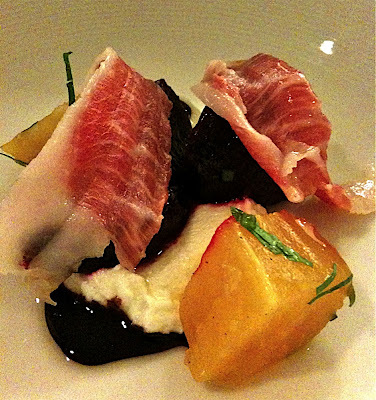 The next thing brought to our table was a small plate of that delicious Mountain Ham a la Bob, roasted beets, goat cheese, and wine syrup. Remember how I said I didn’t like smoked fish? Well, I thought I didn’t like beets either. Once again, I was mistaken. I like smoked fish! And Beets! 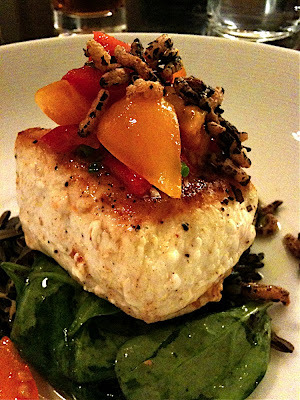 The goat cheese was especially creamy and tart, and I really liked the rich flavors and textures of the dish. 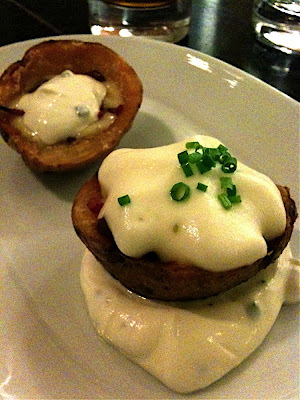 David and both agreed we like the changes that Local 127 has made the potato skins. 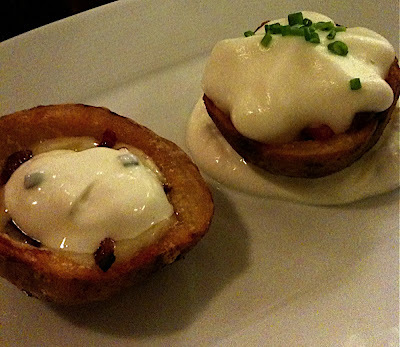 The new potato skins feature Grafton cheddar and bacon, béchamel crème sauce, sour cream with in-house preserved lemon (now below the potato skin), potato foam on top, and chives. I really liked the texture of the potato foam. If you came to Local 127 and tried them the old way, I recommend you come back to give them another taste. It’s worth it. 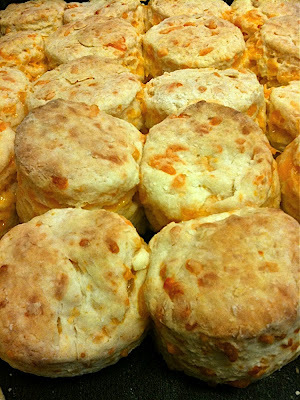 We had these with a Hippie IPA from Buckeye Brewing. 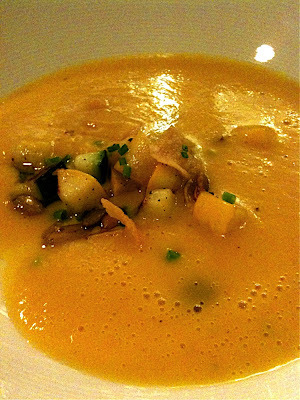 Next, the fall squash soup with with garlic chips, pumpkin seeds, and parsley. This also had maple and sauteed zucchini. I really liked this soup and I ate every last bit of it. It's very comforting—I was ready for a nap afterward, and I know soup. Today a coworker asked me the soup schedule for a local restaurant downtown because she figured “I would know”. I did. 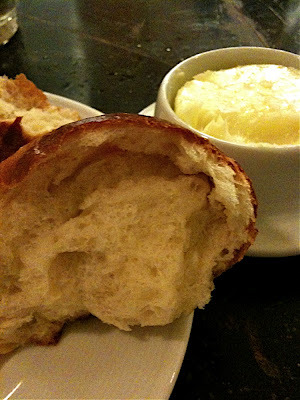 Next was the house roll, with Vermont cultured butter (soft, I am happy to report to the Foodhussy) They had a very nice egg wash that reminded me of the smell of toasted marshmallows. Our next dish we were very excited to try, the “risotto style” creamy rice ($12.00) (yes, it has been changed on the menu to read "risotto style") with mushrooms, herbs and house preserved lemon. Apparently local 127 started preserving lemons at the restaurant a few months ago, and now they are ready to add a delicious flavor to the dishes. 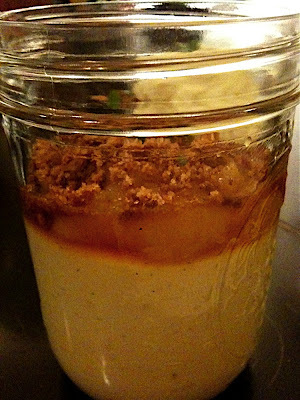 The preserved lemon was a twist that we really liked a lot. David noted that the olive oil on top of the rice was very tasty and seemed to be very high quality. 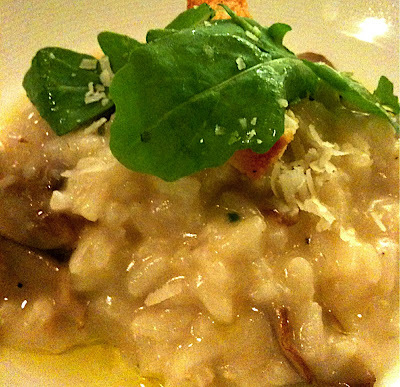 The rice was a little al dente, but, in our risotto style opinion, could have been a little firmer. Overall, we really liked the components of this dish, though we liked the wild rice on the next dish even better. 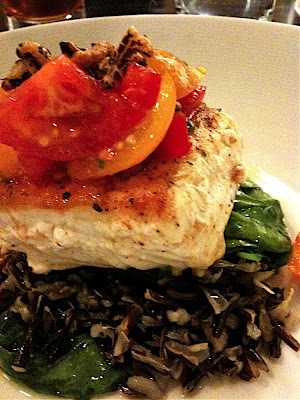 Our next dish was a the Atlantic Halibut, with rice two ways—wild and crispy— wilted spinach, and lemon emulsion and diced tomatoes. We really, really loved the wild rice—it had a buttery flavor and a great texture. The halibut was OK—though it seemed too dried out on the seared sides. The underside was more tender. I liked the crispy rice on top, but David is still on the fence about it. 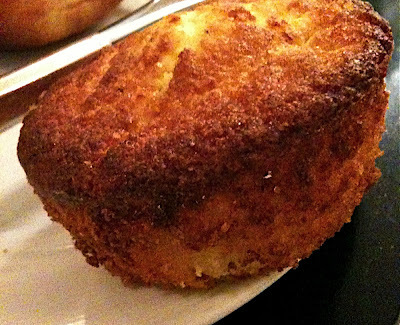 Next, sweet corn cakes! We really liked these too. 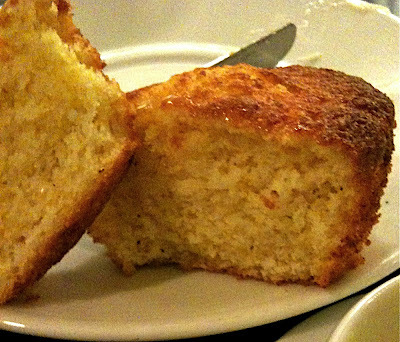 Great texture, more of a cake than a bread. These cakes were very sweet and I ate way more than I had room for with the yummy Vermont cultured butter. David says if you remember what Burbank's cornbread was like before it turned to crap, then these are very similar. 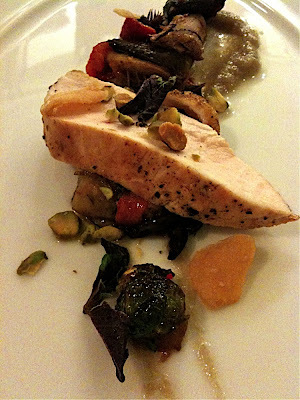 For next course, we were served pan roasted amish chicken with ragout of roasted eggplant, kalamata olive and roasted bell peppers; and pistachio, garlic chips, pulled beet and basil. We had both a Pinot Noir and B.O.R.I.S. 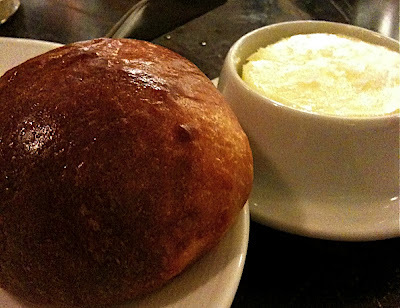 the crusher stout with this dish. 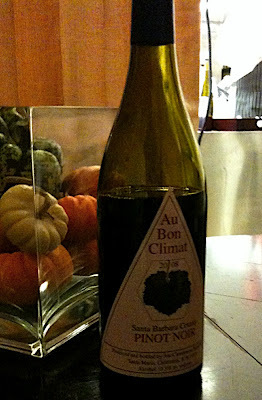 The Pinot Noir went well with the chicken, which was nice and juicy, but the stout should really be paired with the next dish. 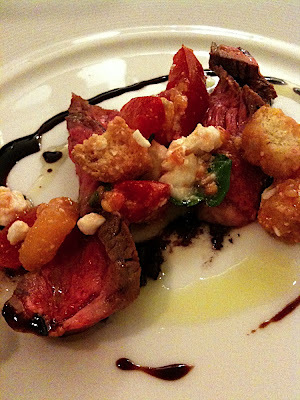 We tried a small plate of the bison, medium rare, from Vista, with tomato bread salad and goat feta. 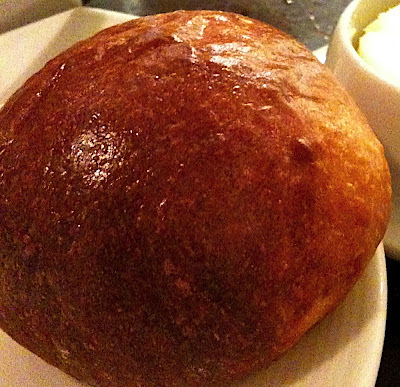 The bison had a wonderfully decadent and rich flavor without being gamey, or “livery”. This was one of David’s favorite dishes he had. The rich flavor of the stout really complemented the rich flavors in the meat. I thought the slight acidity brought in by the tomatoes was a nice touch. At this point David and I were fading fast, so we only tried a few more dishes. The Cheesecake with sweet basil, and house made preserves was delicious, but we couldn’t finish it. 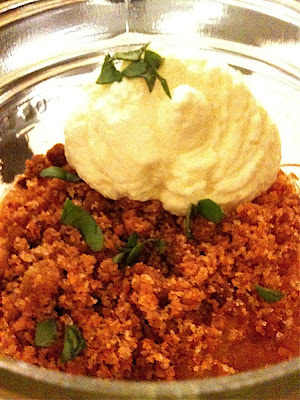 I especially liked the crunchy streusel like topping. The cheesecake was not as solid as you’d expect—it’s more of pudding. 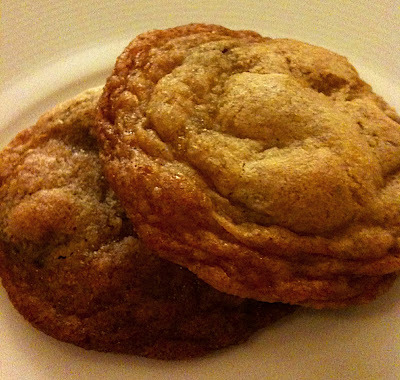 And lastly, two chocolate chip cookies, which I dipped in the cheesecake without regrets. Our impression of a working kitchen has been skewed by watching to many dramatic cooking shows. It was much quieter than we expected, but it definitely picked up a little once is got busier. I’d say that our experience at Local 127 was very positive—we really enjoyed the Chef’s table, and we will definitely be back for regular dinner service. We saw tasty burgers flying out of the kitchen, which we both want to try. A burger is $11--which is very fair. The menu is priced well--we felt everything was priced reasonably. I think that for most restaurants, the first few weeks—especially when taking over a spot that people are really attached to, like Pigall’s—can be rough. 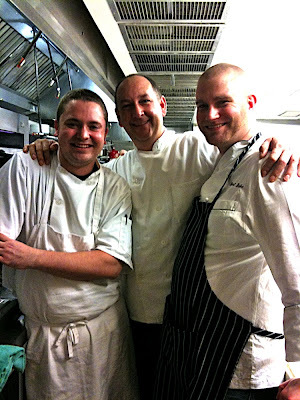 All the people we spoke to that night, Steven, Kyle, Brent and Bob—have a clear passion for food and want to share that passion with others. We have a copy of the menu--which, be advised will change week to week-- and after talking to Steven, his "food philosophy" seems to be to get the best, local (if possible) ingredients for his dishes that he can get his hands on. We agree with this method wholeheartedly. We’ll be back, especially when the adjacent cocktail lounge opens. David and I signed the lease for a new fancypants loft apartment at Shillito Lofts today. It's pretty kickass, to not mince words. We'll be moving in 31 days. What this means: higher rent, eating in more and focusing on doing our shopping at Findlay and Avril Bleh (and more cooking posts), downtown happy hour deals and reviews, having more space to live, being closer to the heart of downtown. Bugging the 5chw4r7z's. 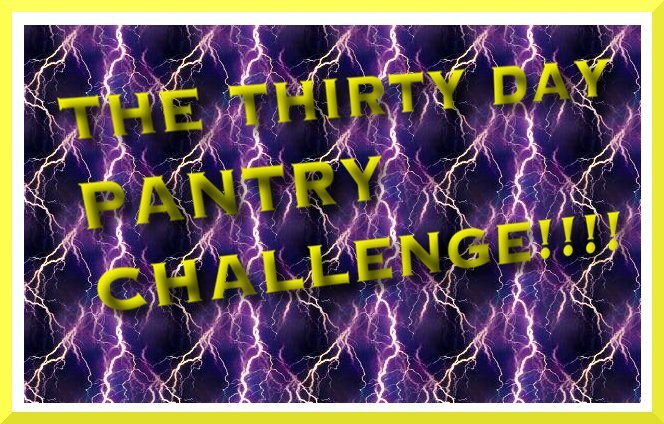 It also means we have 30 days to empty our pantry/freezer. We've set a new goal, and I'm looking for advice to help us reach it. We are not to go to the store for as long as possible for non-essentials. We'll be turning the contents of our pantry and freezer into (hopefully) delicious, or at least edible franken-meals, and documenting our progress. I'm also taking meal suggestions. Even if you don't have any, it's always interesting to peek inside someone's pantry or fridge. I think it tells you a lot about a person, like someone's bookshelf. We're open to suggestions, give it your best shot! Honestly, this baking thing is changing me forever. I once set a toaster on fire making pop-tarts. Now, as my confidence in my newfound ability expands, I find myself rising to the challenge. I’m doing things I never thought I’d do. I’m buying things I never thought I’d need. I’m running out of cabinet space. I find myself wanting to hoard pyrex casserole dishes. On our last trip to Sur la Table in Rookwood Commons, I was poking around the shelves, pulling out objects of various sizes and evaluating if I needed the small, large, or extra large. David, done with his perusal of the knife selection, came up behind me. “The right size pan to fit my recipe.” I responded. That’s right, I bought a bundt pan. I associate bundt cakes with the ‘50’s era of cooking. You know, the flowered apron in the kitchen, roast in the oven, jello mold, golly-gee-whiz-mister era. But I bought one anyway, because I was about to attempt my most difficult recipe yet. The blueberry beer bundt. 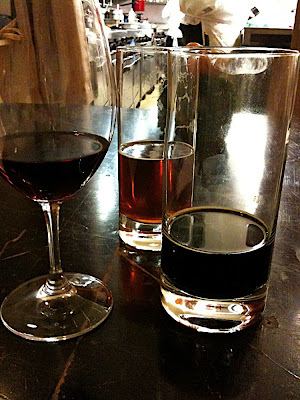 The beer chosen was Three Philosophers, which has cherry and malty notes, and is a little tart. Once again, this cooking with booze recipe has been cobbled together from the farthest reaches of the internet to create a recipe that has the best qualities of a bundt while including some tasty beer characteristics. And macadamia nuts. Bake on 350 for an hour and 10 minutes. Make sure you test the cake to make sure it is cooked all the way before taking it out. The bundt cake came out perfectly, but looked a little boring without an additional garnish. I made a topping of sweetened coconut flakes, leftover blueberries, and a little honey to glue them together. The cake itself was very moist and pretty dense—if I had to do it over, I would have crushed the macadamias. All in all, the blueberry-tart-coco-macadamia flavor combination was pretty decadent.